Today, smart devices have become a necessity for individuals. People depend on phones and tablets for their daily work. Thus, recognizing the need for reliable, fast and easy, as well as very intuitive gadgets, Apple released iPhones, iPads and iPods. Apple has built a whole ecosystem of software’s and app store for its consumers to make the best use of their gadgets. The App Store has millions of apps, both free and paid for the users to enjoy. Thus, we as users save a lot of personal data on our iPhone, iPad and iPods. We have our contacts, messages, chats, call history, photos, music, notes, calendar entries, notes, reminders and much more. This data is very valuable to us as it contains information of our daily professional as well as personal life. So, the worst nightmare for any iOS user is loosing their data. Loosing data from your iPhone, feels like loosing parts of your life. Hence, there are many tools that help you to recover deleted data from your iPhone, iPad or iPod. But many of them are fake or do not work properly. Thus, after researching and testing, we have found here the best tool to Recover Deleted data from iPhone, iPad, or iPod – Leawo iOS Data Recovery. Why Leawo iOS Data Recovery Software ? Best Features of Leawo iOS Data Recovery. 1. Support for all kind of Deleted Data. 2. 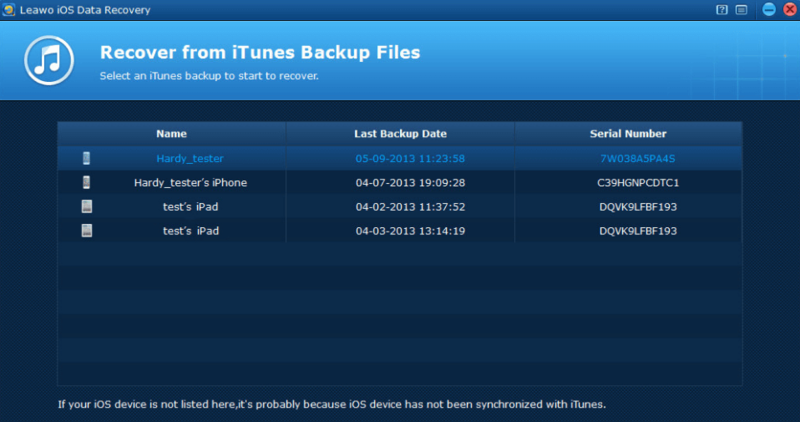 Scan and recover from iTunes/iCloud backup. 3. Create Backups directly from devices. 4. Batch Recovery and PC Transfer. 6. Complete NO-LOSS data recovery. Download Leawo iOS Data Recovery. Leawo iOS Data Recovery is one of the best tools in the field of data restoration. It offers an excellent solution to recover deleted data from iPhone, iPad and iPod. 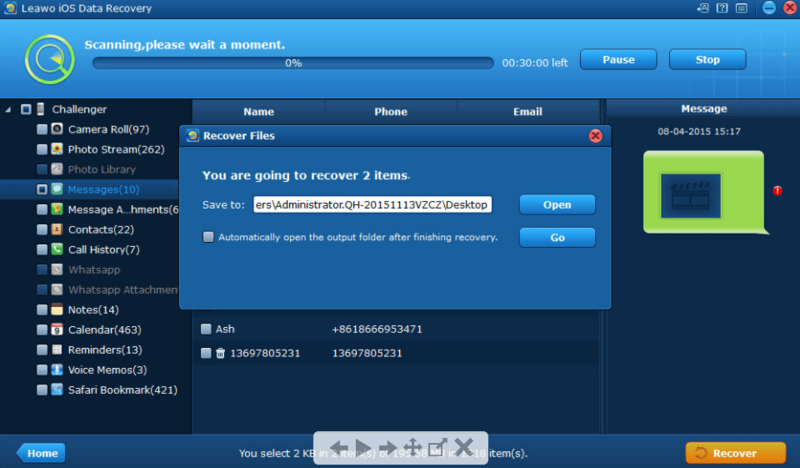 With Leawo iOS Data Recovery, you can recover deleted data effortlessly using the simple tool. 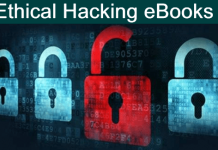 This tool is considered the best one as it can recover your data even if you do not have an iTunes backup. It can recover files from your iOS device with the help of deep scan in DFU mode as well as direct scanning. Along with these amazing features, Leawo iOS Data Recovery software also offers backup of your data and extraction from existing iTunes backup. You can export all the restored files directly to your PC. Leawo iOS Data Recovery software offers two different scanning modes for deleted data. 1. 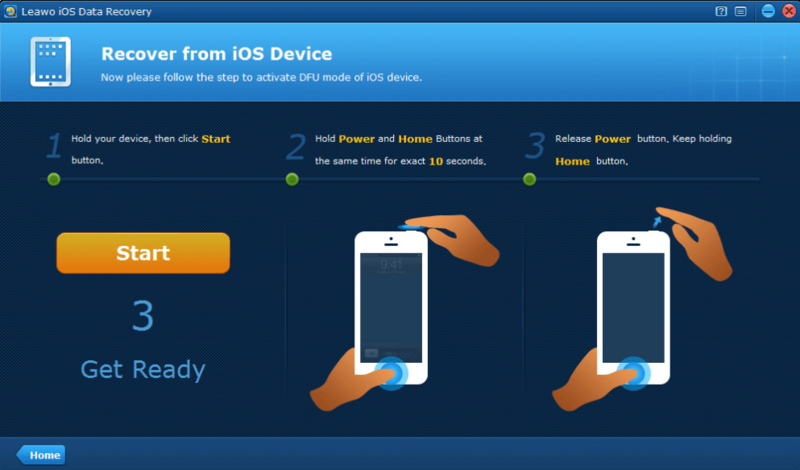 Direct mode : Direct scanning of iPhone/iPad can help users to recover 6 types of deleted data. These types include contacts, Messages (SMS, MMS, iMessages), Call histories, Notes, Calendars and Reminders. 2. 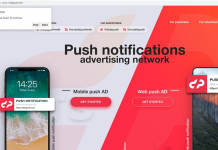 DFU mode : Scanning your device under DFU mode allows the recovery tool to perform a deep scan and recover deleted contacts, Messages (SMS, MMS, iMessages), Call histories, Notes, Calendars and Reminders. In case you unfortunately lost your device, you can still recover your previous data from iTunes back via the unreadable .sqlitedb files. 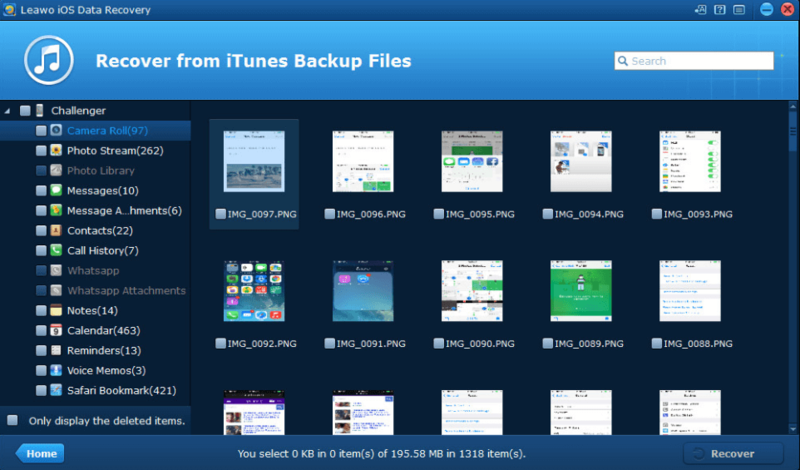 You can also recover your data from iCloud backup with help of of your Apple ID. This feature helps users to recover 14 file types which include Camera Roll (photos & videos), Photo Stream, Photo Library, contacts, notes, messages, message attachments, WhatsApp, WhatsApp attachments, Safari Bookmarks, call histories, voice memos, calendars and reminders. If you are ever worried about loosing your valuable and personal data again, you can create a quick backup of 14 different types of files through Leawo iOS Data Recovery software. The backup will be stored locally on your computer which you can use anytime to recover your information and files. Backup includes Camera Roll (photos & videos), Photo Stream, Photo Library, contacts, notes, messages, message attachments, WhatsApp, WhatsApp attachments, Safari Bookmarks, call histories, voice memos, calendars and reminders. Once you have recovered your data, the Leawo iOS Data Recovery tool offers the option of batch transfers of the recover data directly to your PC. You can export all the recovered files according to their formats. Various compatible formats are : photos taken (.tiff, .tif, .jpg, .jpeg, .gif, .png, .bmp), videos recorded (.mov), Voice Memos (.m4a), Contacts (.csv, .vcf, .html), Text Messages (.csv, .html), Message Attachments (.jpg, .png, .mov, .m4a), Call history/Calendar/Notes/Reminders/Safari bookmarks (.html). The Leawo iOS Data Recovery software is compatible with different models of iPhone, iPad and iPod touch, including iPhone SE, iPhone 6s/6s Plus, iPhone 6/6Plus, iPhone 5s, iPod touch 6, iPad Pro, iPad Air 2, iPad mini 4, etc. It also supports iPod touch. This tool works across devices running the iOS 9.3and later. The data recovery processes are complete. Thus, the file is completely restored with all the original parameters maintained. Hence, this tool is very dependable. The Leawo iOS Data Recovery is available for both Windows PC as well as Mac computers. The tool has a trial version available for both platforms as well as a paid full version available too. You can get the full version for $59.95 only. Click the links below. In conclusion, the Leawo iOS Data Recovery software is a great tool that helps the users to recover deleted and lost data from iOS devices. 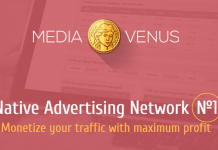 It offers a user-friendly and very intuitive interface that is easy to use. The file restoration algorithms work perfectly and offer complete restoration of all types of required files. Hence, we highly recommend it.